Carmel Indiana Mayor Brainard spoke at our event. 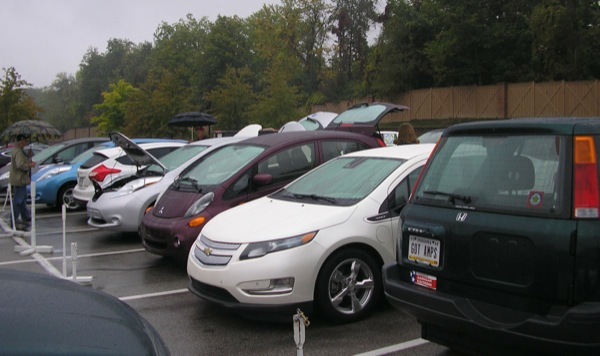 Indiana’s Sierra Club chapter, Duke Energy, Simon Property Group, Hoosier EVA and ESN are working together to put on a National Plug-In Day event on Sunday, September 29th at Clay Terrace Mall from 11am-2pm. Simon is hosting it by their plug-in charging system behind Whole Foods and would like to have an EV tailgate – EV owners can come park their vehicles in that parking lot, they’ll have some booths set up, some public officials/dignitaries speaking, display vehicles, etc.